Carl Packman reviews Stewart Lansley's "The Cost of Inequality," and loves it. Every so often somebody comes along to tell us what we should all already know, but are often charmed into thinking the opposite – namely that we shouldn’t keep calm and carry on, because everything is not fine. To be optimistic about business as usual, you really have to choose your time well. 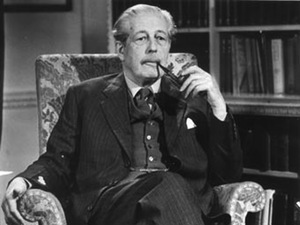 In 1957 the Conservative prime minister Harold Macmillan told Britons that “most of our people have never had it so good.” When he said it, Britain was in the period we know as the managed economic period of 1950 – 1973, where UK unemployment averaged 1.6 per cent. Additionally, there was the post-war boom to the global economy which rose living standards. Of this he was sure the market had it spot on, attacking the doctrinaire nightmare of central planning and nationalisation, and recalling visits around the country, the farms, the industrial towns – a reminder of great prosperity, for which we can all be grateful. There were wages freezes in 1961 to curb inflation, but altogether it was no political suicide to boast about how we can all share in the glory of economic happiness. Probably not a good time to try that trick is when we’re in the middle of a recession. That was what Lord Young tried in November 2010, telling us that the “vast majority of Britons have never had it so good” – echoing Macmillan. The former enterprise adviser to the PM described the yearly drop of 100,000 public sector jobs as “the margin of error” in an otherwise strong jobs market (one year later the OFT revised original figures for public sector job losses up to 710,000 by 2017) and alluding to low interest rates and the gloomy looking economy he anticipated that in time “people will wonder what all the fuss was about”. The rich, throughout the crisis, have stayed rich, the poor are getting poorer, poorly regulated financial markets have failed and yet spineless governments haven’t the guts or the courage to do anything about that – and so it will remain unless some real reform is done. This is the appeal of Stewart Lansley in his great new book The Cost of Inequality. Not only have we witnessed a marked lowering in the material share by the majority of the populus, both in the UK and US and other places, but the undeserving rich are getting richer, and their money becoming dirtier. Corporations with assets worth more than the wealth of the countries they reside in should give us pause, but the troubling fact of the matter is – and for all the talk of a more moral capitalism – nothing is being done to seek out alternatives. As Lansley rightly points out, unfettered markets are still the choice of the day for UK and US business schools and the Treasury still recoils at policies that might distort the usual running of the market. Personal fortunes, we’re reminded, at the top have risen to before World War Two levels, while living stanadards for the majority of Britons have dropped. The era of deregulation, after the one which Macmillan presided over, created big money, concentrated into the hands of the few (Lansley points out that in 1990 to be on the list of richest 200 UK residents you needed £50 million, now since 2008 you need £430m; a near ninefold increase) but not smart money or investment. Real incomes in the UK have all but stagnated since 2005, while in 2010 city bonus pools returned to pre-crash levels, and the average pay of chief executives in Britain’s largest companies rose by 55% in the firsty 6 months of 2010. Through the policies of Thatcher, and maintained over the last 30 years, manufacturing has dropped significantly (even in the boom years from 1997 to 2007 “a further 1.5m manufacturing jobs were lost in the UK” as Lansley points out), while the service industry has filled the gap, decreasing wage levels and offering short-term, low-skilled (even if highly skilled workers are doing them) and constantly vulnerable jobs that places like Tesco can offer to people for the promise of their job seekers allowance now (well, the Tories can’t get rid of the minimum wage, so they have to go about it in more creative ways). A different picture once upon a time, as Lansley shows us. Before Big Bang (deregulation of the financial markets in 1986 – a cornerstone of Thatcher’s reform programme), UK merchant banks paid bonuses of around 3-4 per cent of a salary, while some firms’ bonuses took the form of a Christmas hamper. In 1997 the city bonus pool hit £1 billion for the first time. A decade later that figure was £9 billion. It was concentrated to a tiny proportion of the City’s 350,000 staff. 4,000 receiving £1 million; a few hundred over £5 million; and twenty-odd over £10 million. Funny to think now that the city were once worried about Labour coming back to power in 1997, but they didn’t fear for very long. Lansley observes that while Gordon Brown concentrated on the finer details of the banking industry, Tony Blair became a spokesperson for the city, promising a continuation of light touch regulation, and going public on New Labour’s flirtation with the moneyed. Of course back then Blair didn’t care how much David Beckham earned and Peter Mandelson was relaxed about the filthy rich. Now we know high pay impacts upon low pay, and that pay gaps, which widened under Labour, are quite unhealthy for a good society. Furthermore, Mandelson has swung full circle, now admitting that he isn’t relaxed about the filthy rich anymore. So, the evidence is there of a failed system. What to do? In his essay for a recent Fabian Society pamphlet The Economic Alternative, Will Straw gives us reason for optimism. As world wealth starts to disperse, particularly in the so-called BRIC countries, there will be more reason for the UK to grow and export the things it is good at to more people – a reason why the unravelling of US economic hegemony is not all doom and gloom for the UK. Now Britain has reason to develop its skill set in aerospace and pharmaceuticals, and new areas such as tourism and biotechnology. There will be greater need to invest now, in order to reap gains later, and grow jobs around the country rather than having concentration of jobs and wealth, with few stakeholders, in London and the South East. This is all vital. And the exporting of financial services plays a key role in this as well. So what must we do to ensure this sector works and works for the many, not the few. Lansley, in concluding his book, points out the Scandanavian utilisation of flexicurity (portmanteau of flexibility and security). What should be pursued in finance, as well as other areas, are sensible interventionist policies, designed to ensure the system works, and avoid failures to spot risk in deregulated pockets of the city. Flexicurity also feeds into a system focused on worker security, technological advancement, and employment generation – such that we haven’t seen in the UK since the wide-opening of the markets. If it is true that we’ve never had it so good, then this can only mean we’ve previously only ever had it terrible. Lansley intricrately, and with a great wealth of research, shows us the great failure of neo-liberal politics, and howit is has contributed to today’s normalisation of crisis (an expression of which, incidentally, is thinking we’ve never had it so good). But he also develops a reason to dispute TINA (There is No Alternative). Perhaps now politicians will listen to what has been obvious for the past 30 years.